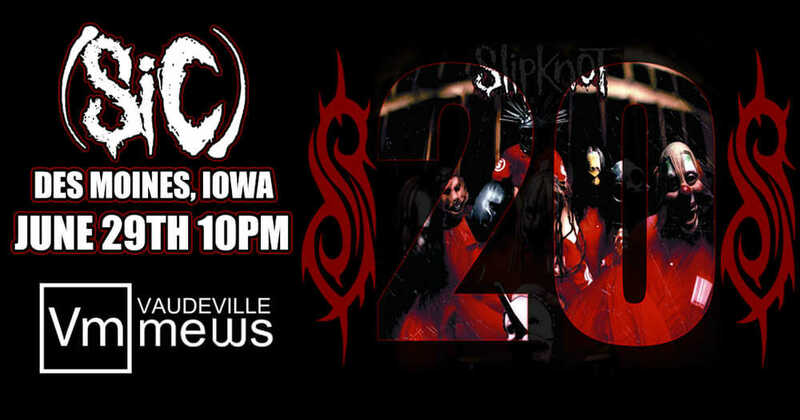 Celebrates the 20th Anniversary to Slipknot's debut self titled album. They will be performing this album like it was 1999. Throwback suits and masks, paying tribute to the masked 9! Go back in time for one night at Vaudeville Mews on June 29th. Also joining us from Chicago our brothers Vent To Atmosphere and straight out of Des Moines local band Alter Within!